Behold the newly released starter kit from Kanger Tech: The Topbox Mini Pro Temp Control 75W. The Topbox Mini Pro Temp Control 75W Starter Kit (or more commonly known as The Topbox Mini) is a new and improved version of the Subox kit. Same classic shape and features we have come to fall in love with but with refreshing twists and upgrades. The Kit comes with the new Top Tank Mini atomizer (which you can now fill through the top instead of the bottom), a 75 watt temperature control pass thru battery, and of course Kanger Tech always includes its standard miscellaneous items (extra screws, coils, and cotton). The KBox mini featured in this kit can now reach up to 75 watts, as well as supports Temperature control with nickel, titanium, stainless, and Ni-Chrome wire. 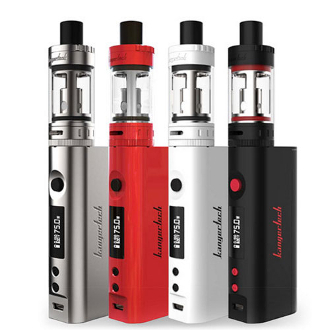 This kit is perfect for beginners who want to put their foot in the cloud chasing door or for experienced Vapers who want to add a Temperature control Mod under their belt.